(1) Asteroseimology based on photometric or spectroscopic measurements from either ground-based observatories or from satellites (WIRE and SMEI). (2) Abundance analysis of absorbtion lines in stellar spectra. I have developed the IDL suite of widget programs called VWA. A list of reviewed publications is available through ADS. In 1992 I started my natural science studies at the University of Aarhus in Denmark. 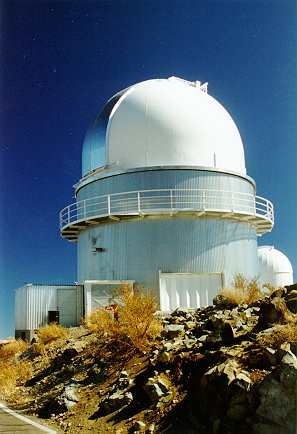 In 1996 I went on my first trip to ESO in Chile and from this point I became a decicated researcher. In 1999 my master's thesis was given the highest grade possible (only two people at the department of astronomy have achieved this in 10 years from 1995-2005). I went on to become a Ph.D. of astrophysics in April 2003. I started working with Derek L. Buzasi at USAFA, CO, USA on the analysis of data from the WIRE satellite (more info here). During 2004 I stayed at USAFA for five months and in January 2005 I moved to Copenhagen to collaborate with J. V. Clausen on the abundance analysis of binary stars. In February 2006 I moved to Sydney where worked with Tim Bedding as a postdoctoral researcher. From February 2009 to February 2010 I was working with the CoRoT team at the Observatory of Paris in France (LESIA). In February 2010 I returned to Denmark and I am now working on the SONG project at Aarhus University.